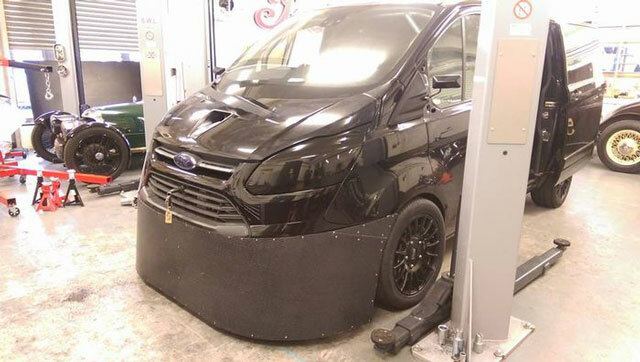 In the first in a new series of blogs focussing on the most amazing and ingenious automotive projects that Forge Motorsport has been associated with, we take a look at Guy Martin's ludicrously powerful time trial Transit! Now very close to National Treasure status, Guy Martin has won over vast swathes of the British public through his enthusiasm, knowledge and sheer passion for anything that can be made to go faster than its maker ever envisioned! Speed With Guy Martin has been a large part of that success, and the popular TV show has seen him tackle a wide variety of seemingly impossible automotive tasks and human endurance challenges. One of the most memorable episodes from the series saw Guy enter the Nevada Open Road Challenge, the fastest road race around and one that sees a section of Highway 318 closed off and re-purposed for the mother of all time trials! 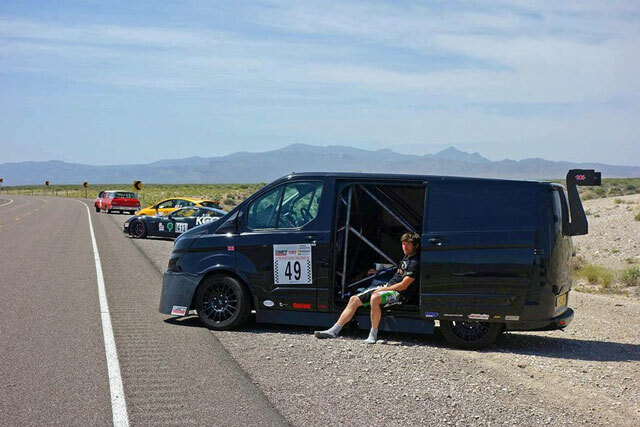 Guy opted to enter his humble Ford Transit in the 150mph class, that being the speed he'd have to average over the 35 minute course, and in the process setting himself and his engineers one heck of a challenge. Now it goes without saying that a Ford Transit is not the most aerodynamically efficient of vehicles, and this stuff really does matter at these speeds. 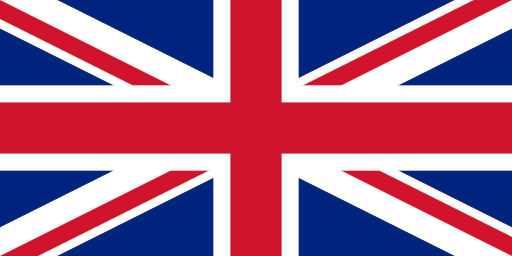 The van therefore required a vast amount of modification if it was to ever approach the class standard, all of it carried out on this side of the pond. The 150mph class features stiff competition from the great and the good of the supercar world, plus a smattering of road-legal race cars in the form of Ultima GTRs – the odds most certainly were not in Guy and the team’s favour, but they ploughed on regardless. There was one further hurdle to overcome, namely that Guy’s van didn’t begin the task in the fittest of conditions. 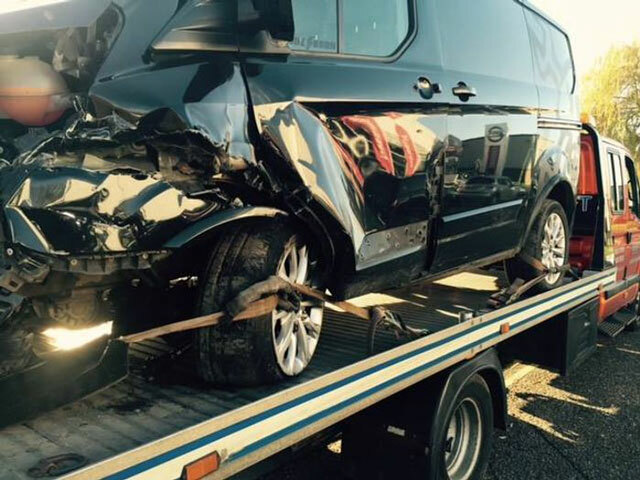 Indeed, a mere 5 months beforehand the Grimsby legend’s Transit was a crippled write off with little hope of ever seeing the road again, much less going toe-to-toe with Corvettes, Porsches and Dodges. The task of actually building the van fell to Dan Sims of Krazy Horse, and he was the one responsible for transforming the Transit from a wreck to a race car. A custom aero package was devised and bolted into place, and this consisted of a front splitter, side skirts and rear wing, plus a revised bonnet with oh-so-cool NACA duct, the latter to funnel air into the deep-breathing V6. 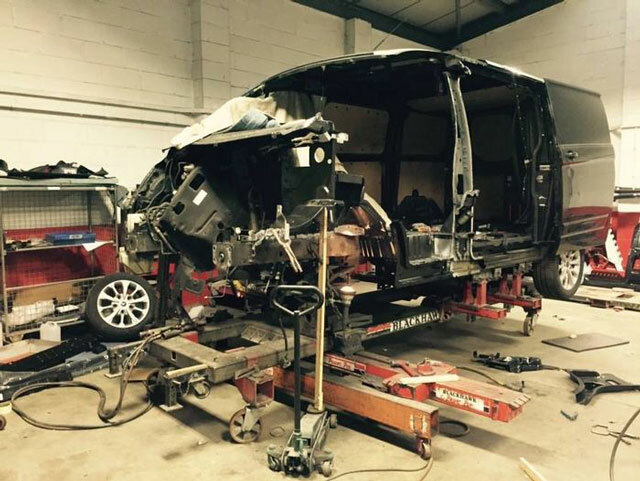 These revisions helped the Transit slip through the air in a manner not traditionally associated with a commercial vehicle, but it was still quite clearly a slab-sided van with a brick-like front end. It was clear that more work – and more brute shove – would be required if Guy was ever to do himself and the task at hand justice. 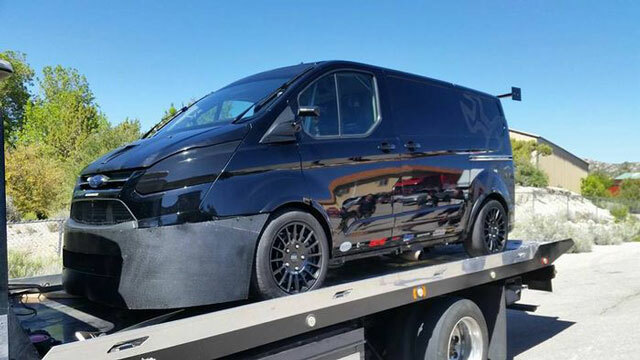 Forge Motorsport stepped up to the plate, setting about supplying the Transit’s American V6, a pokey enough unit but no fire-breathing monster, with a smattering of forced induction goodies. 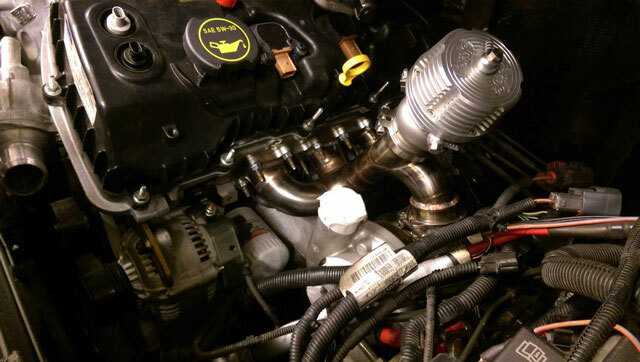 Forge eventually supplied FMDVRAY BOValves and a pair of FMWG001 piston external waste-gates, all of which were swiftly bolted into place using custom brackets and a whole lot of ‘out of the box’ thinking, plus some bespoke Demand Engineering manifolds. 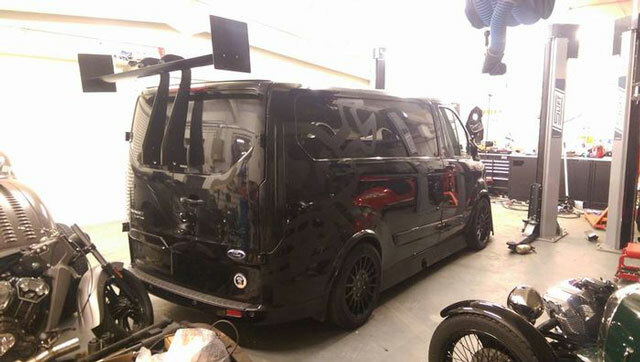 These helped the twin turbo, 3.5 V6 Transit to kick out a thundering 650bhp, more than enough to make it competitive, though still not enough to be confident of victory, as it was still quite clearly a van, one significantly heavier than anything else in class by dint of its sheer size and bulk. Dan and the team’s efforts certainly weren’t helped by the fact that they were on the wrong side of the Atlantic, and indeed the wrong continent! The team and van were eventually shipped to Nevada and Guy began testing, attempting to get to grips with the task at hand. Testing threw up a handful of reliability gremlins – including a transmission related mishap on his first run, but the TT ace soon got to grips with the task at hand. Top speed? 170mph, with more on tap had the task required it. The time trial rules governing the Nevada Open Road Challenge dictated the relationship between speed and time, meaning Guy eventually opted to hammer along at ‘just’ 160mph. He eventually crossed the line 8 seconds ahead of their ideal finishing time thanks to a calibration error and a heavy right foot, though it was still enough to net them 14th overall with an average speed of 150.7mph across the length of the twisty, undulating road course. It might not have netted him victory, yet the Transit certainly did Guy, his team and everyone at Forge Motorsport proud. Huge thanks must go to Dan Sims and Krazy Horse for allowing us to use their photos for this blog post, and for carrying out the engineering work in the first place!